The Dexter Lake Club Band is honored to be featured in the Knot’s Wedding Wizards series. It’s a great segment with an interview and live video and audio of wedding music from The Dexter Lake Club Band. 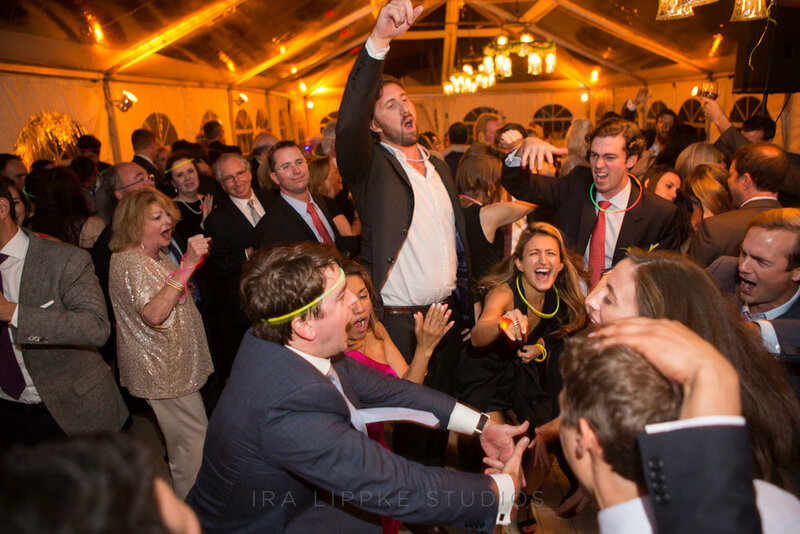 The interview covers all things wedding music: hiring a wedding band, planning your wedding music set list, first dance, parent dance, how to keep your dance floor packed, and how we started our band. The Knot even sat down with one of our brides for a post-wedding interview. Our next showcase will be on Thursday April 25, 2019 at 8pm in midtown Manhattan. We play a monthly Live Wedding Music Showcase in midtown Manhattan. To reserve your spot or for more information please click the RSVP form below, call us at 917-848-2145, or email us at info@dexterlakeclubband.com. Thanks for your interest in the Dexter Lake Club Band. We’ll be in touch shortly with all the details for our next showcase. 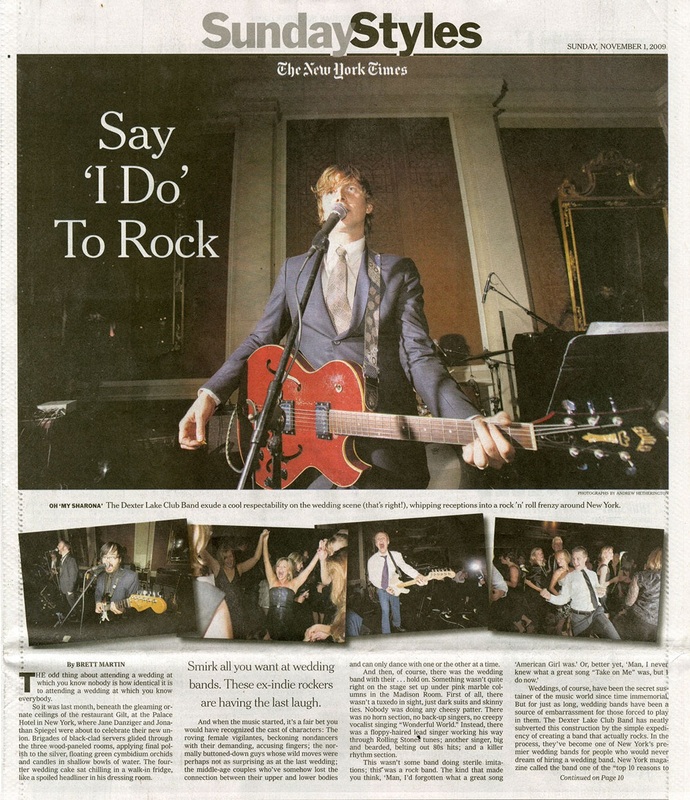 The Dexter Lake Club Band is New York City’s only event band to ever be featured on the Cover of The New York Times, and has also been featured in New York Magazine, NPR, NBC.com, CBS This Morning, MTV, Martha Stewart’s Weddings, Us Weekly, Celebrity Bride Guide, Brides Magazine, Whalebone Magazine (Montauk), and the Knot. Visit our Press Page to read more. The Dexter Lake Club Band has shared the stage with M. Ward, Fugazi, the Walkmen, and Paul Shaffer (pictured here) of Late Night with David Letterman. We’ve shared bills with Matt & Kim, Vanilla Ice, Monsters of Folk, Girl Talk, and the Rockettes. Members of the band have toured and recorded with Bruce Springsteen, Miley Cyrus, Alessia Cara, Demi Levato, Yeah Yeah Yeahs, Miike Snow, Vampire Weekend, Norah Jones, Regina Spektor, Elle King, Hamilton Leithauser, Todd Rundgren, The Cars, Goo Goo Dolls, Sarah McLachlan, John Legend, Nick Cave, and Willie Nelson. For the 5th consecutive year, The Dexter Lake Club Band is a 2019 Winner of the Couple’s Choice Award from Wedding Wire. The Dexter Lake Club Band opened up for 90’s rapper Vanilla Ice at the Marquee Club in New York City. The Dexter Lake Club Band’s drummer featured on the latest recording by Miley Cyrus. The Dexter Lake Club Band’s lead singer and sax player performs with Hamilton Leithauser of The Walkmen and Rostam of Vampire Weekend. The Dexter Lake Club Band has a 5 star rating on Wedding Wire and the Knot. The Dexter Lake Club Band on Instagram. NPR names Dexter Lake Club Band "New York Wedding Rock Royalty"